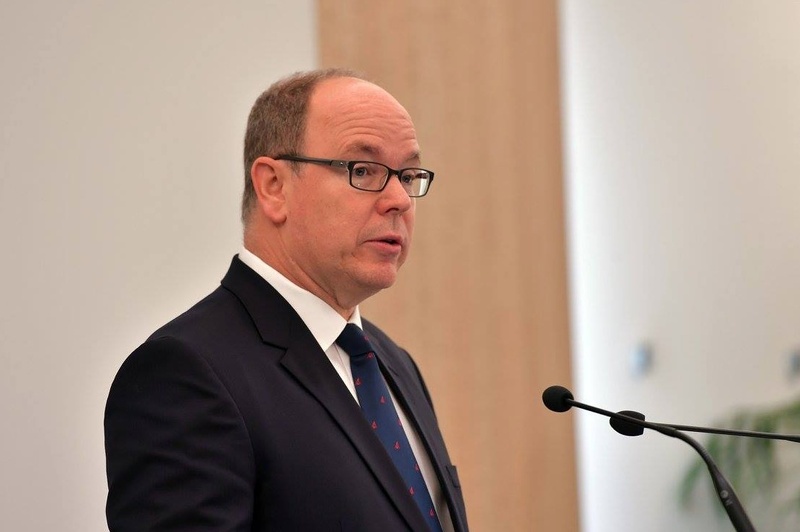 (VIDEO) His Serene Highness Prince Albert II of Monaco Delivers His New Year Speech. On December 31, 2016, the Palais Princier released a pre-recorded video of His Serene Highness Prince Albert II of Monaco’s New Year Speech. 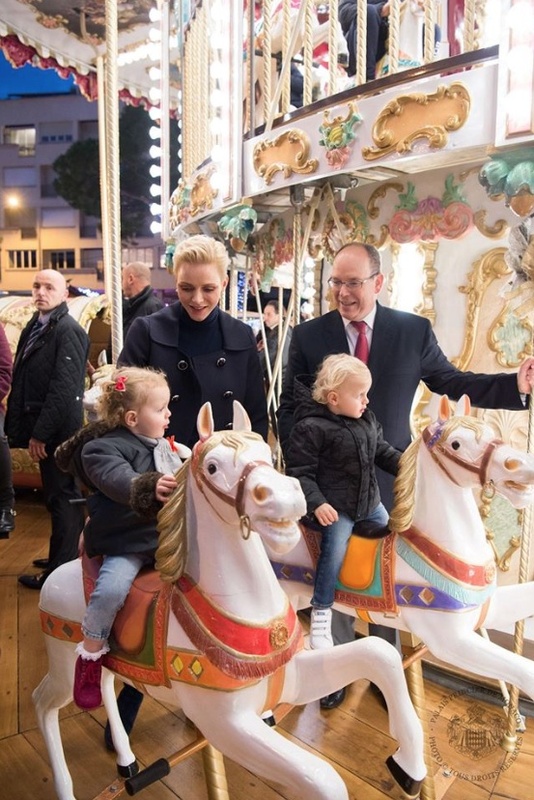 (VIDEO) A Christmas Video From TSHs Prince Albert II and Princess Charlene of Monaco. 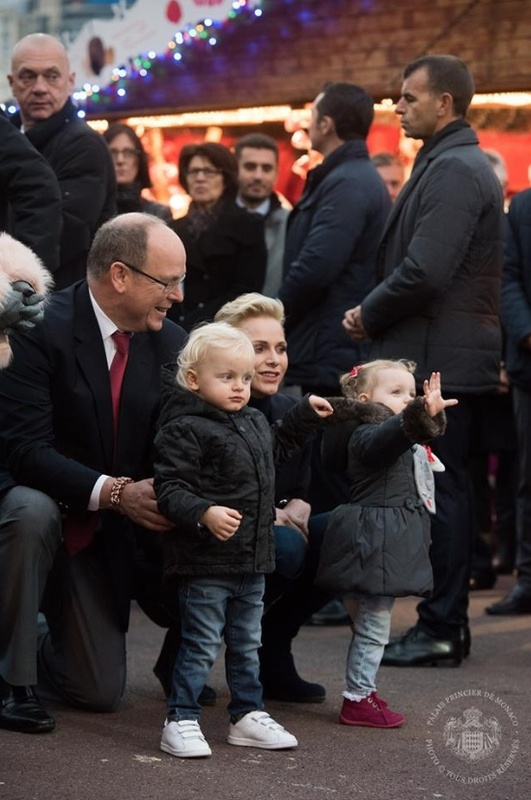 On December 24, 2016, the Palais Princier released a lovely Christmas video of Their Serene Highnesses Prince Albert II and Princess Charlene of Monaco accompanied by their two adorable children, Hereditary Prince Jacques and Princess Gabriella. 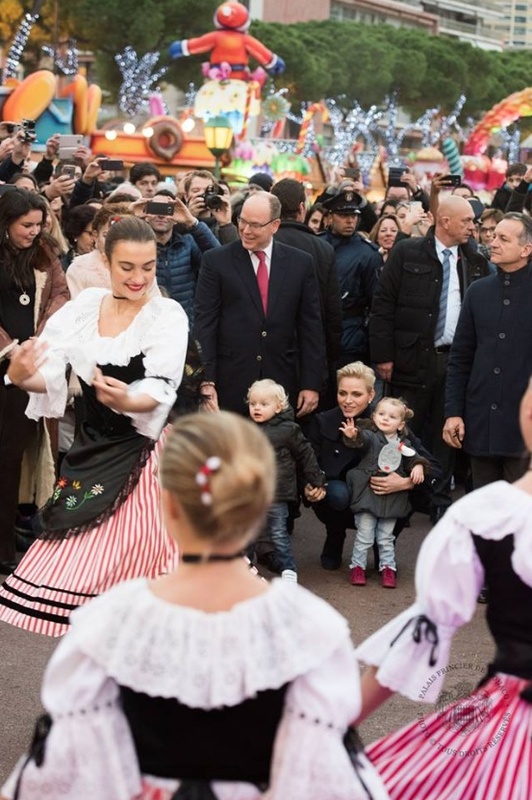 (VIDEO) TSHs Prince Albert II and Princess Charlene of Monaco Distribute Christmas Gifts. On the afternoon of Wednesday, December 14, 2016, Their Serene Highnesses Prince Albert II and Princess Charlene of Monaco accompanied by their two children, HSH Hereditary Prince Jacques and HSH Princess Gabriella, Mr. Louis Ducruet, and Miss Camille Gottlieb distributed Christmas gifts to dozens of Monégasque children at the Palais Princier in Monaco-ville, Monaco. 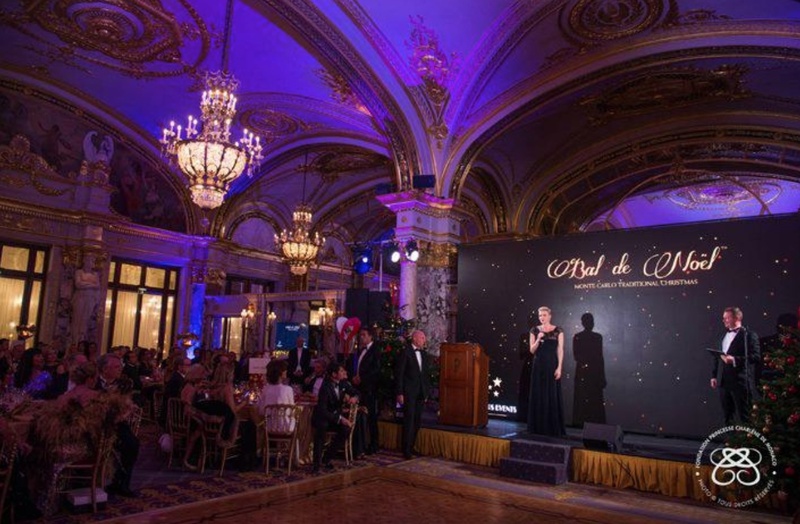 (VIDEO) HSH Prince Albert II of Monaco Attends the 2016 Gala des Ambassadeurs. 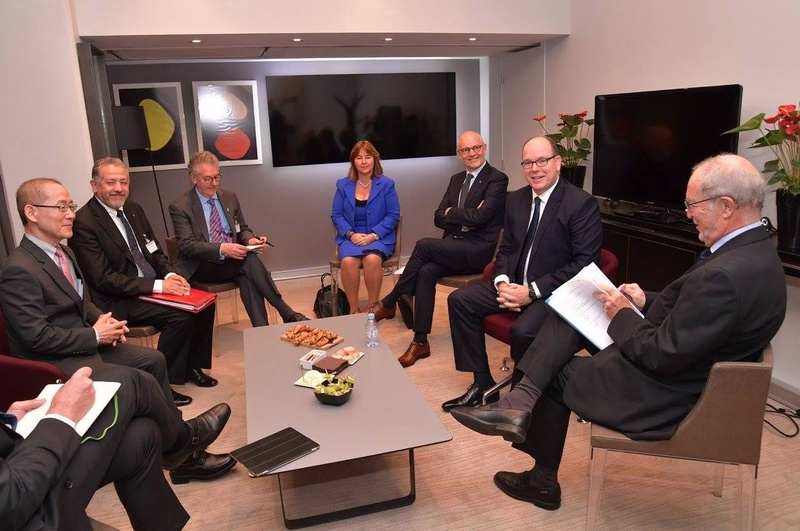 Recently, His Serene Highness Prince Albert II of Monaco attended the 2016 Gala des Ambassadeurs held inside the Salle d’Or at the Hotel Fairmont in Monte-Carlo. HSH Prince Albert II of Monaco Views a Photo Exhibition at the Galerie des Pêcheurs. 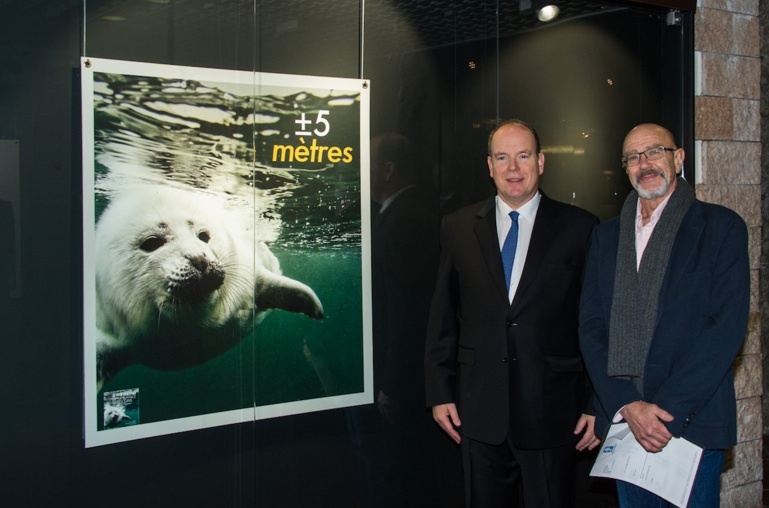 On Saturday, December 10, 2016, His Serene Highness Prince Albert II of Monaco viewed a photo exhibition entitled, À +- 5 Mètres, by well-known French photographer, Mr. Joe Bunni, at the Galerie des Pêcheurs in Monte-Carlo, Monaco. 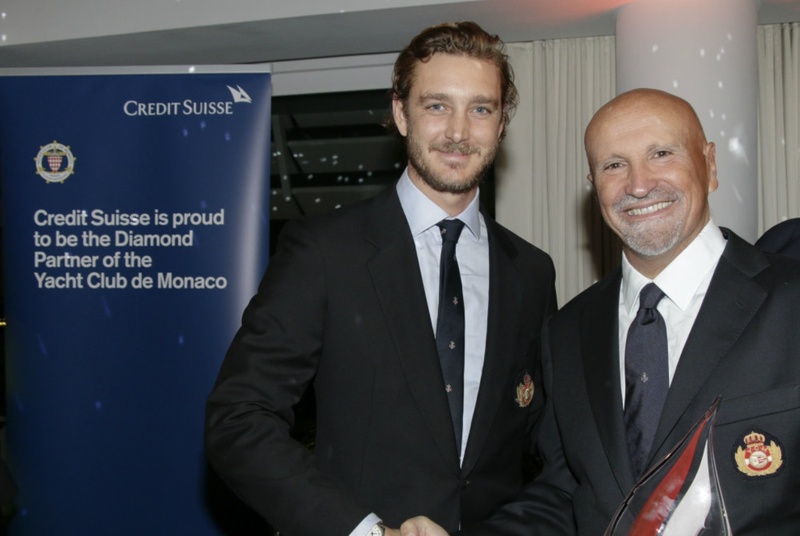 (VIDEO) Members of the Princely Family in Monaco Attend a Charity Auction. 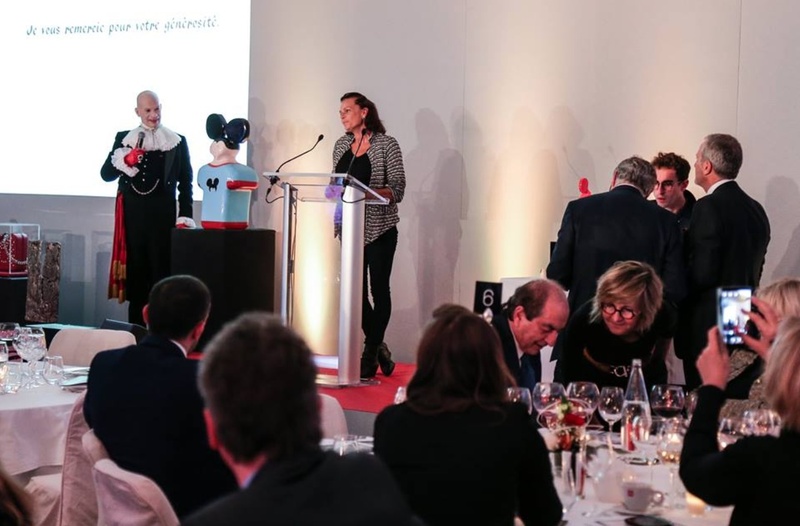 On the evening of December 1, 2016, His Serene Highness Prince Albert II of Monaco accompanied by Her Serene Highness Princess Stephanie of Monaco and her daughter, Miss Camille Gottlieb, attended the 2016 Fight AIDS Monaco Auction in Monte-Carlo. 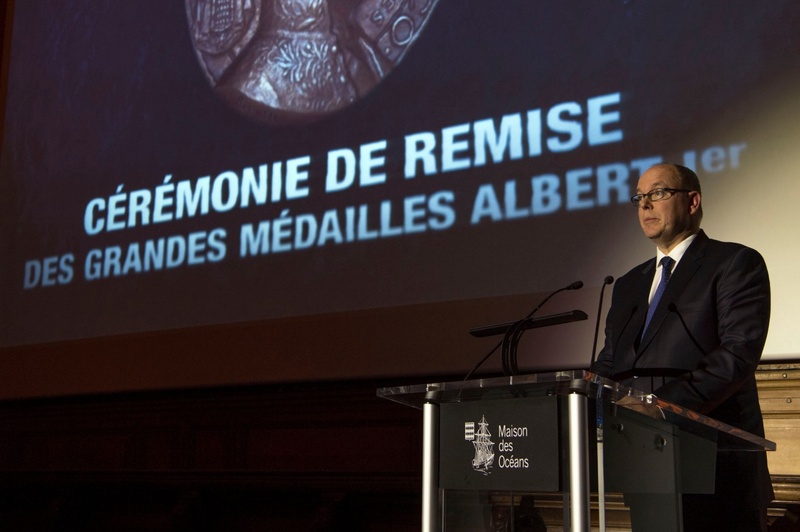 (VIDEO) HSH Prince Albert II of Monaco Presides Over an Award Ceremony in Paris. 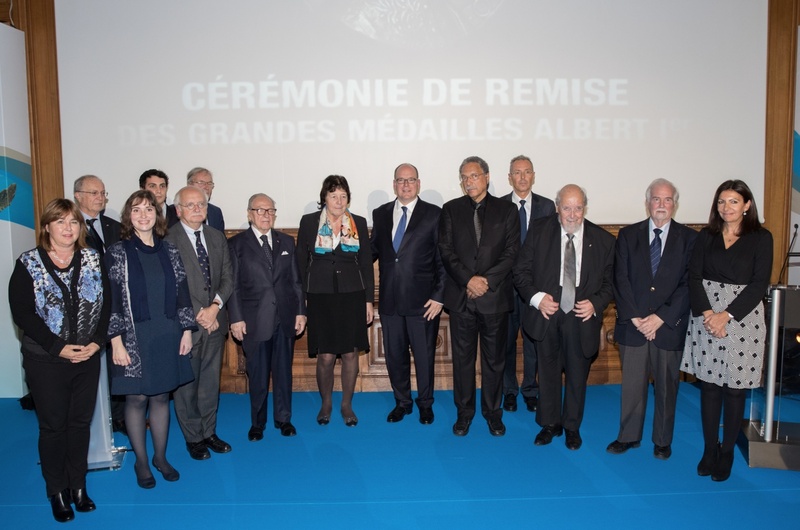 On Monday, November 21, 2016, His Serene Highness Prince Albert II of Monaco presided over the 2016 Grandes Médailles Albert I in Paris, France. 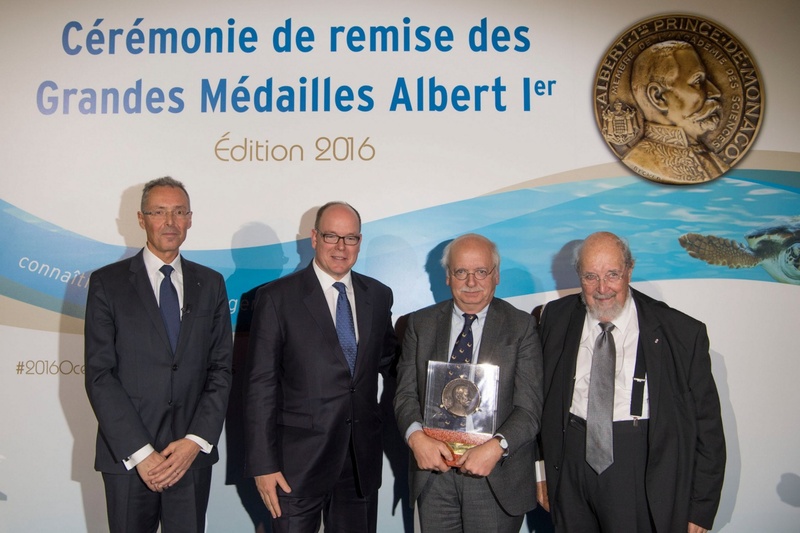 Each year the Institut Océanographique de Monaco presents awards to outstanding individuals who have dedicated their lives to marine science and research. 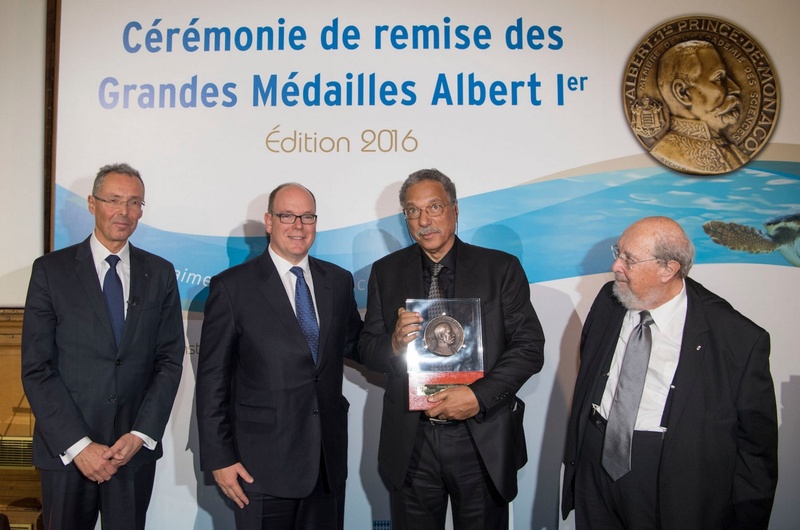 Scientist, Mr. Daniel Pauly, for his expertise in marine resources and the effects of overfishing. Mr. Thibaut Barreyre for his published work entitled, Dynamics and Heat Fluxes of the Lucky Strike Hydrothermal Field (Mid-Atlantic Ridge, 37 ° 17’N). Ms. Sophie Gourguet for her published thesis entitled, Ecological and Economic Viability for the Sustainable Management of Mixed Fisheries. Mr. Erik Orsenna, winner of the Mediation Award, for raising awareness and discovery the marine world through his travels and enthusiasm of his pen. 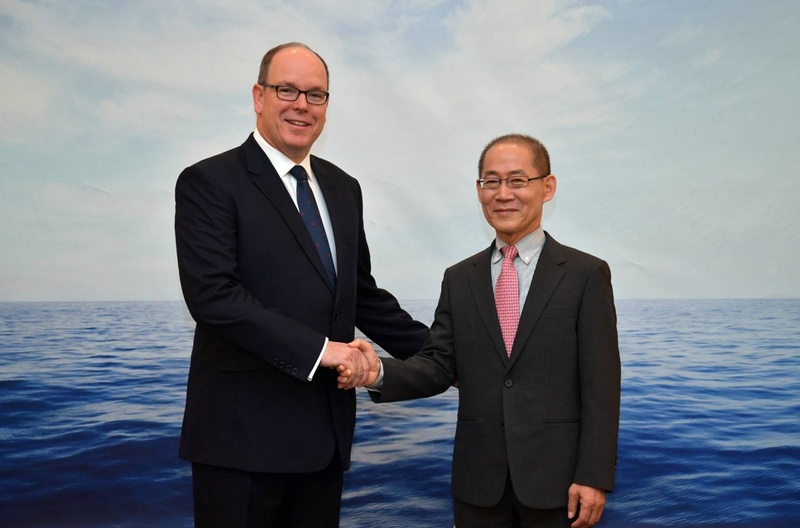 (VIDEO) HSH Prince Albert II of Monaco Participates in the Peace Walk in Monte-Carlo. 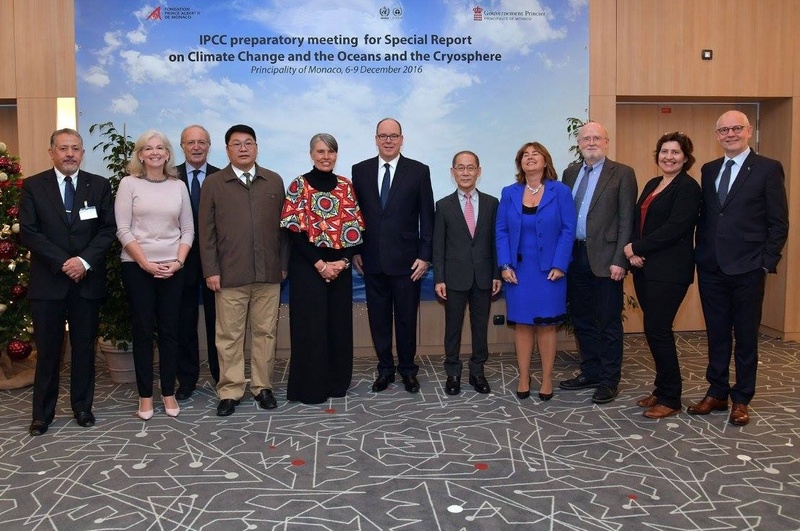 On Wednesday, November 23, 2016, His Serene Highness Prince Albert II of Monaco participated in the 9th Peace and Sport International Forum Peace Walk held along the Terrasses de l’Opéra in Monte-Carlo. The theme of this year’s Peace and Sport International Forum, Game on for Peace: Changing the World through Sport. Click here to view a small photo gallery.